After an initial explore of Google+ it’s obvious that the circles concept—a user friendly version of the Facebook “friends list”—has some exciting potential for business. For those still new to the platform it’s easiest to think of circles as “lists” that you can create to group people together. And, just like a Venn diagram, these circles can overlap to create a togetherness or distance that suits each occasion. For example, currently I have two separate Twitter accounts, one created for my business persona and one that is personal, as well as a Facebook account that is for ‘family’ only. Google+ allows you to have a single account from which you can easily choose whom you post to—a family picture can be shared within a private family circle and from the same account a business message can go to a circle of select business associates. Or an interesting link from an online news source can be shared with your family, friends and business circles. The key being—that choosing who you post to is easy. So with ease of use being forefront of mind I began thinking about how Google+ circles could be leveraged for business—both as internal and external communication channels. As a business you can easily create private circles to disseminate information (such as internal memos, updates and training) to your staff and internal partners, as well as having another circle for management level communications. And for medium to large enterprises you can have separate circles for different regions or offices, temporary ones for incentive programs, as well as a group one for overall broadcast communications. As an internal communication channel Google+ effectively takes the best of social media platforms, such as Facebook and blogging/forum sites, and allows comments and feedback as well as offering easy sharing options (something that is cumbersome via traditional email memos and Facebook currently). It also enables the information poster and commenter the Twitter-like ability of communicating directly with a user, by simply adding a + before the person’s name, (just like you can in Twitter by adding the @ sign) to highlight a specific user you would like to address. This definitely gives Google+ an edge over Facebook which, considering that most tout it as the owner of the social media sphere, lacks this basic ability for direct 2-way communications. On a more serious note, Google+ also works seamlessly with Google docs, a great resource sharing tool, and it offers a multiple user video conferencing tool, which if effective, could mean the demise of skype for distance and global business meetings. Imagine an invitee only circle for select customers to receive specials; choose to disable sharing so the deal is exclusive or insert a QR code to access the offer. What about the potential for gathering marketing intelligence? Open a circle and invite a select group to offer feedback on a new product. As with any business tool it will be up to the company to create value so that its customers will follow them wherever they wish. Marketing campaigns on Google+ can be as exciting and edgy as a company wants, and in return the company will benefit from creating brand advocates who have a sense of being personally invited to the inner sanctum of a brand. On top of that Google+ offers business some privacy enhancing tools—that many would argue are lacking on Facebook—such as the ability to disable sharing and comments which effectively allows a company to have some control over its content. A definite plus in my book as it addresses some key needs for business that have been, until now, unmet by the existing big contenders. And, with businesses already making major investments into existing platforms, and facing the endless debate over social media and ROI, it’s unique features like these—and the potential of the yet to be released ‘business pages’, that will be crucial in getting companies to think ‘inside the circle’. For the truth is, many seem to agree, that on the surface Google+ is an attractive and, most importantly, easy to use new resource for marketing, PR and business communications … but only time will tell if the uptake will be good enough for Google+ to assert itself as a key player in tomorrow’s social media sphere. to be an overnight success. Writer. Editor. Latte lover. Social media coordinator for a brand you might know. 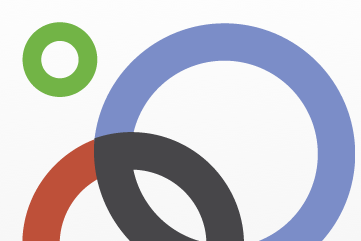 One Response to "Google+ business, let’s start thinking … inside the circle"